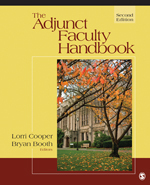 Review: The Adjunct Faculty Hanbook, 2nd ed. Cooper, Lorrie and Bryan Booth, eds. The Adjunct Faculty Handbook, 2nd ed. Los Angeles: SAGE Publications, 2011. The second edition of The Adjunct Faculty Handbook (the first edition appeared in 1996), is a timely, valuable reference resource in the literature of higher education. The new editors have retained the essential purpose, audience, format, and organization of the first edition while updating content to address the current climate. As the Preface to the second edition points out, adjunct instructors constitute 50% to 70% of all teaching faculty in the United States (xi). The seven chapters reflect this significance for higher education, presenting a range of information which will be useful to teaching faculty, administrators, and directors of centers for teaching excellence. As with the first edition’s eleven chapters, the chapters of the second edition are independent. Since they are written by different authors, there is some content overlap, yet this is never mere repetition. A helpful feature retained from the first edition is the brief synopsis of content and relevance for particular audiences on the first page of each chapter. The first chapter treats nuts and bolts administrative details for those new to the university environment, and chapter two gives a thorough overview of technology in the classroom. Two chapters presenting learning-centered pedagogy will be helpful to any teaching faculty and the chapter on evaluating student work will be especially helpful to new teachers. Chapters five and seven provide excellent strategies on pressing needs regarding professional development and network technologies for support, especially for online instructors. A helpful new feature of the second edition is inclusion of five appendices which will be useful for new teachers and all those supporting them. 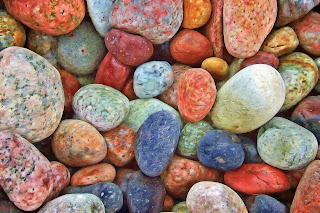 Of particular note is Appendix E, “Suggested Readings and/or Web Site URLs,” a concise resource list featuring links to outstanding university centers for teaching excellence, which is helpful for any teacher wishing to revise or update teaching strategies. Most significantly, the second edition provides up to date scholarship and practical information, particularly on the theme of technology in relation to teaching and learning.